What You Get: The game truck pulls up and everyone piles in. There are four flat-screen HDTVs, dozens of video games, an Xbox 360, Nintendo Wii, PlayStation 3 and a certified game coach to help you score as many points and pass as many levels as possible. What You Get: Whether you're throwing a birthday party or a block party, hosting five or 5,000 guests, FunFlicks has five inflatable sizes, from 6-foot indoor screens to giant drive-in screens. It comes with a projection system, sound system, crew to set it all up and a popcorn machine add-on option. What You Get: It doesn't matter if it's light, dark, raining, snowing or perfect outside; you can play laser tag in your yard, at the park or inside your house. You play on your terms, meaning you choose the game and the rules. 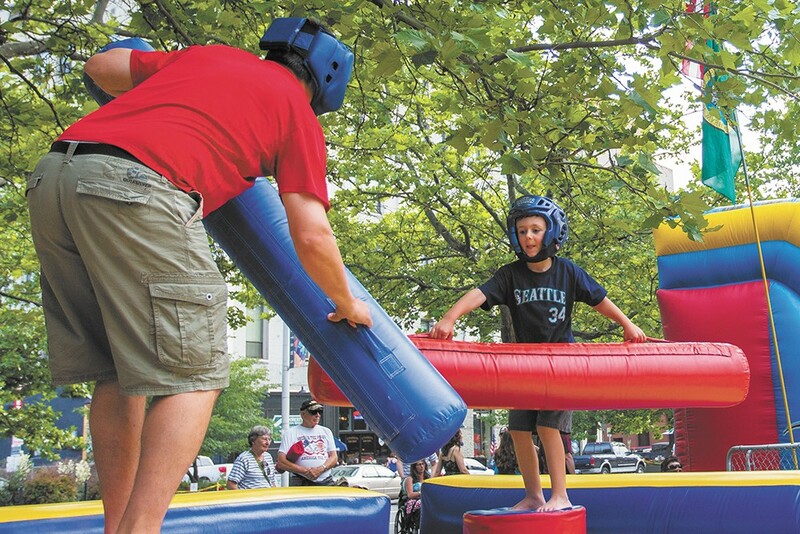 What You Get: The list of party choices is seemingly endless: bouncy castles, sumo suits, slides, bungee runs, gyros, obstacle courses, gladiator jousting arenas and dunk tanks. For food, there are nacho, cotton candy, sno-cone and popcorn machines. What You Get: Of course there's all the inflatable bouncy stuff, but if you're looking for other carnival elements to add to your party, there's plenty to choose from. Face painting, balloon twisting, photo booths and mechanical bulls are just scratching the surface. What You Get: The party planner can choose beforehand what ice cream (and what price range) will be on the truck — everything from SpongeBob to drumsticks to mini-cheesecake. Then the truck drives up to your place while playing your favorite music or a ragtime tune. What You Get: The ponies come decked out for your party occasion, dressed up in bows and braided hair. If it's a birthday party, the birthday kid gets a cowboy hat, so they can feel like a bona fide, wild Western rider. Five-year-old Cole battles his dad in an All-Star Jump arena.